On the table: Ott's carborundum structure - probably the first structure determined by algebraic methods. 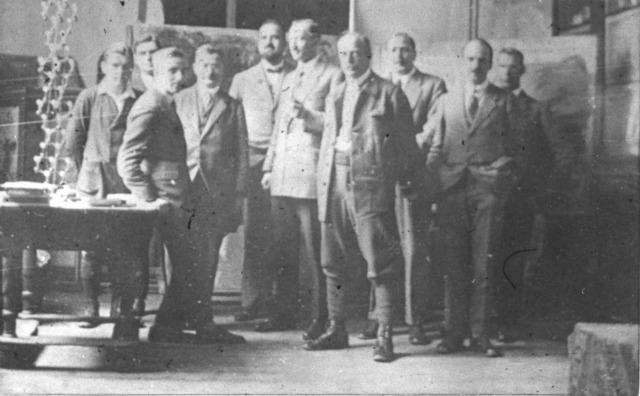 H. Mark, K. Herzfeld, L. Brillouin, R. W. James, A. D. Fokker, H. Ott, M. von Laue, C. G. Darwin, W. L. Bragg, I. Waller. 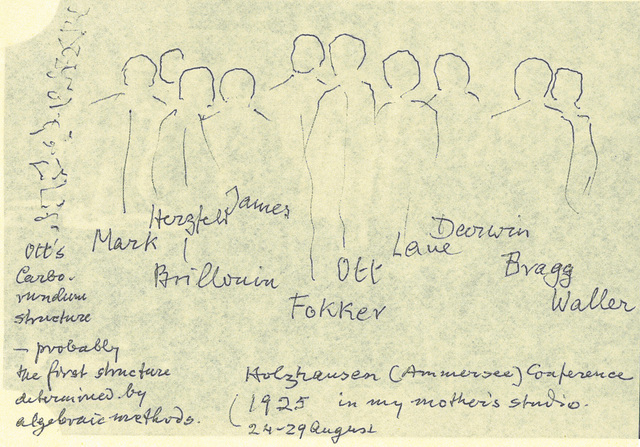 Identification sketch, in P. P. Ewald's handwriting, of the participants at the informal Holzhausen conference at the house of Ewald's mother.